“We started staying at the Ronald McDonald House in 2000 when my son Ian Scott Hosler went into Strong Memorial Hospital for a liver transplant. We had been traveling to the hospital from Malone, N.Y., since February 1999, when he’d been diagnosed with a rare genetic urea cycle disorder, arginino succinic acid lyase deficiency. He was missing the #5 enzyme in his liver, which meant he was unable to break down protein. The first time we stayed at the house, we were there for just about three months. Our first impression was that it was so much bigger than the one we had stayed at in Burlington, Vt.; however the welcoming feeling was the same. RMHC is always great with making sure families have what they need during their stay—there are always goodies in the kitchen and most nights a hot meal is being served after a stressful day of being at the hospital, which gives you a break from eating cafeteria or vending-machine food. My son’s favorite part is the little play area off the kitchen! When we come back to the house after a long day, he goes in the play area and has a terrific time while I make us something to eat. We have been making the trip to Strong for 18 years this coming February and have been staying at RMHC of Rochester for 16 years this September. There are a couple of people who have definitely helped us throughout the years, but the main one, I would have to say, would be Cher, the house manager. She has always gone out of her way to make us feel welcome and to help us with the added stresses of being so far from home. Cher always finds a way to be accommodating, no matter what the situation is. Ian is now a 17-year-old and in ninth grade. He is developmentally delayed and attends special education classes. 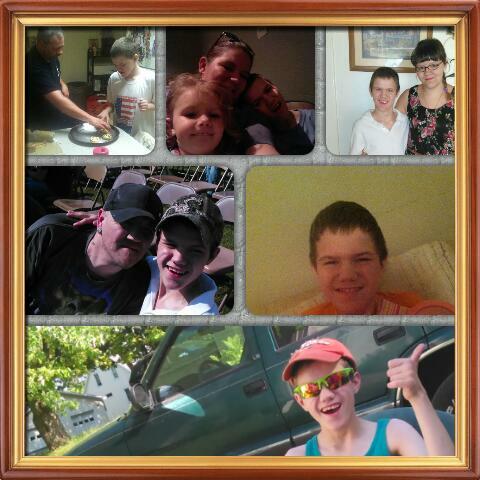 Along with the transplant, he has asthma, seizures and scoliosis. He is going to be getting rods placed in his back within the next couple of months. RMHC means so much to my family and me. If it wasn’t for the generosity of the House and all the volunteers, it would be so much more stressful when we do make the trip down there for doctor’s appointments or hospitalizations.